Hafiz, literally means "guardian" or "memorizer". It is used to describe someone who has completely memorized the Qur'an. Hafiza is the female equivalent. Memorizing the Holy Quran is a spiritual journey for the Hifz student. The Quran is a miracle from Allah (swt) and the ability to completely commit it to memory is a blessing for the Hafiz or Hafiza. When embarking on the journey for memorizing the Quran, the Quran student must make a pure intention and strive to follow the path of Quran and Sunnah so Hifz becomes easy for the adult or child about to memorize the Quran. Can I memorize the Quran online? Sabaq: New Memorization (New Quran Hifz Lesson). This is the portion of the Quran the student memorizes daily. It can vary from a few lines to several pages depending on the student’s ability to memorize Quran. Sabaqi: Recently Memorized Portion of the Quran. These are the verses/pages of the Holy Quran, which the Quran student has memorized in the last few days. The Quran tutor will listen to this portion to determine whether the child or adult memorizing the Quran has been able to completely commit to memory this portion of the Quran without any mistakes. Manzil: Older portions of the Quran committed to memory. This is part of the Holy Quran the Quran student has revised and recited to the Quran tutor several times and is now firmly committed to memory. Once a Hifz student has memorized the whole Quran, the entire text of the Quran becomes Manzil and the Hafiz has to continue revising it regularly so as to keep the Quran committed to memory. 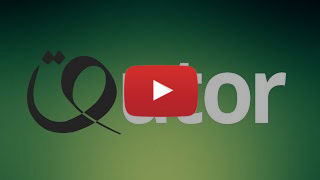 Qutor’s classroom is designed for Quran students who want to memorize the Quran online. The Hifz tutor has the ability to hide the Quran in Qutor’s classroom so the child or adult memorizing Quran can recite without looking at the Quran text.